Alabama readers and writers have expressed surprise and delight over HarperCollins’ announcement that it will release Harper Lee’s novel Go Set a Watchman, a sequel of sorts to her Pulitzer Prize-winning and only novel To Kill a Mockingbird. The book will be released on July 14 and already tops Amazon’s best-seller list. 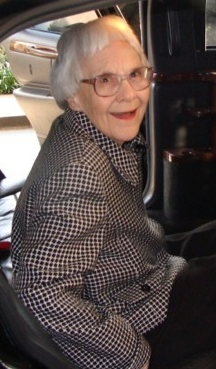 “I think the discovery of Harper Lee's new novel is incredible, wonderful, magnificent,” said eminent historian Wayne Flynt, who visited the author in her Monroeville assisted living facility the day before the announcement. “Hopefully we can now see an early draft of a story set in one period of life, which an editor thought unworthy of publication, become a literary classic a year later taking no more than the original characters and issues and thoroughly recasting chronology. To have such an event constitutes a minor literary earthquake. In addition to Go Set a Watchman’s being a gift to the literary world in general, its release is also happening at a fortuitous time for Alabama in particular. On June 8 in Tuscaloosa, the Forum and the Alabama Center for the Book will induct Harper Lee and eleven other Alabama writers into the first comprehensive Alabama Writers Hall of Fame. Recent Harper Lee Award recipients Fannie Flagg (2012) and Mark Childress (2014) also commented on the manuscript’s discovery and impending publication. "It's fabulous news," Flagg told Alec Harvey of AL.com. "At 88, to have a new book come out, I'm definitely pulling for her…. If you write a world classic, as she did, [publishing a new book] is a risk. But she's a brave lady. She's not afraid of anything." Go Set a Watchman is set during the mid-1950s and features many of the characters from To Kill a Mockingbird some twenty years later. Scout (Jean Louise Finch) has returned to Maycomb from New York to visit her father, Atticus. She is forced to grapple with issues both personal and political as she tries to understand her father’s attitude toward society, and her own feelings about the place where she was born and spent her childhood. Lee was born in 1926 in Monroeville. She attended Huntingdon College and studied law at the University of Alabama. She has received numerous literary awards, including the Pulitzer Prize and the Presidential Medal of Freedom.